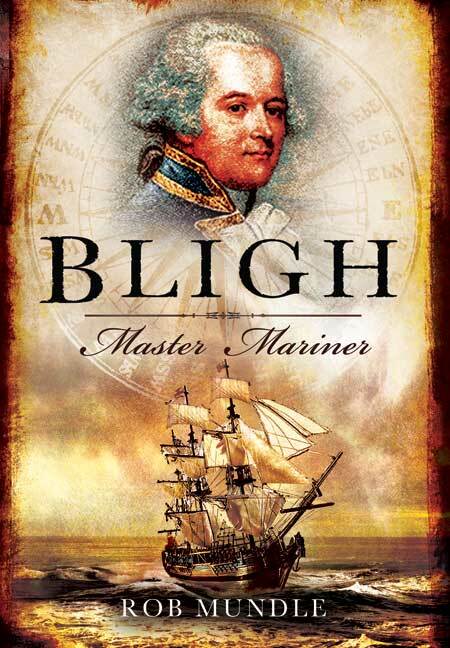 You'll be £19.99 closer to your next £10.00 credit when you purchase Bligh: Master Mariner. What's this? Order within the next 2 hours, 54 minutes to get your order processed the next working day! From ship’s boy to vice-admiral, discover how much more there was to Captain Bligh than his infamous bad temper. Meet a 24-year-old Master Bligh as he witnesses the demise of his captain and mentor, Cook; a 34-year-old Lieutenant Bligh at the helm of the famous Bounty then cast adrift by Fletcher Christian on an epic 47-day open-boat voyage from Tonga to Timor; and a 36-year-old Captain Bligh as he takes HMS Providence, the the company of a young Matthew Flinders, on a grand voyage to Tahiti and back. And all this before he was forty. From ship's boy to vice-admiral, discover how much more there was to Captain Blight than his captain and mentor, Cook; a 34-year-old Lieutenant Bligh at the helm of the famous Bounty then cast adrift by Fletcher Christian on an epic 47-day open-boat voyage from Tonga to Timor; and 36-year-old Captain Bligh as he takes HMS Providence, to the company of a young Matthew Flinders, on a grand voyage to Tahiti and back. And all this before he was 40. Rob Mundle is a bestselling author, journalist and competitive yachtsman whose family heritage is with the sea, dating back to his great-great-grandfather who was the master of square riggers. He is written ten books and has an intimate knowledge of the waters Bligh explored and traversed, having sailed the Solent, the English Channel, the Mediterranean, the northern waters of the Great Barrier Reef, Torres Strait, along the eastern archipelago of Indonesia, the West Indies, Fiji, New Caledonia, Hawaii, Cape Town, Tasmania, New Zealand, New Hebrides and Sacandinavia - all in Bligh’s wake.